Adam Friedman goes into the ring with his colleague Alvin Valentine in a match that was to become legendary. 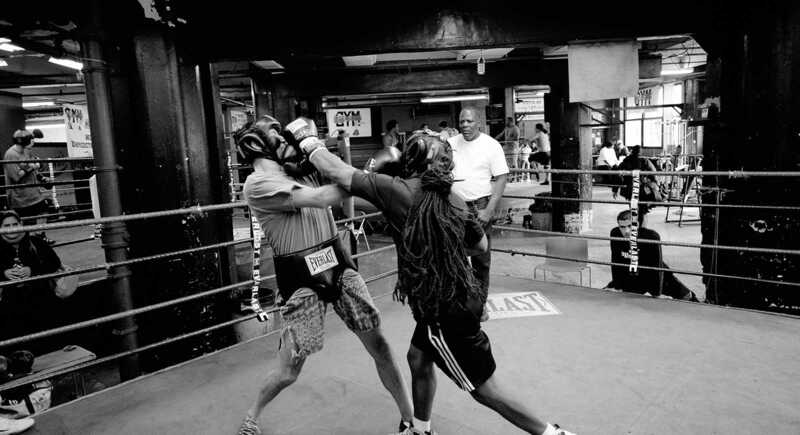 On a bitter cold January morning in 2008, Adam Friedman and Alvin Valentine climbed into a Brooklyn boxing ring and proceeded to go after each other. In three hard-hitting rounds they landed some solid blows. There was no knock out, and, thankfully, no blood. The boxing match represented something important to each man. For Alvin, a former Blood gang leader and prison inmate, it was a chance to fight for fun instead of for his life. For Adam, it was a chance to face down a monster that had tormented him since childhood — fear. The two came from backgrounds as different as New York City can offer, a distance much farther than the trip from Brownsville, Brooklyn, to the Upper West Side — the distance between their apartments. They were the hood and the nerd. The poor kid and the middle class geek. The prisoner and the professional. But a shared passion — to help convicts find their way back into society and prevent them from returning to prison — had brought them together. They met at Exodus Transitional Community, a grassroots organization with the goal of helping recently released inmates make their way back into mainstream society. 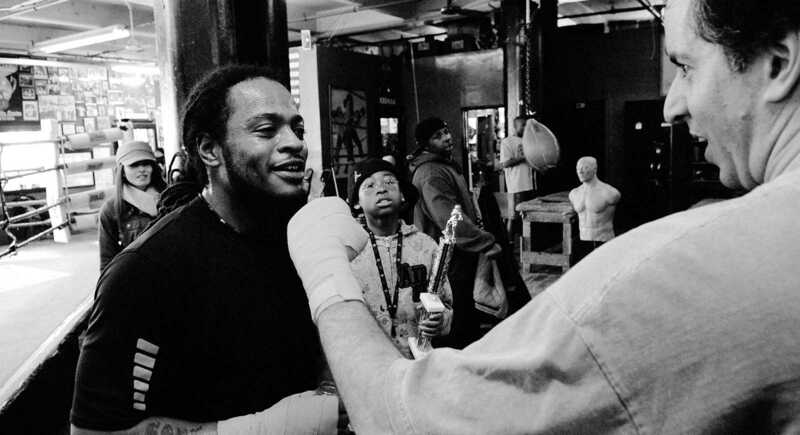 At Exodus, their boxing match became the stuff of legend. Here is the story of Adam and Alvin, the fight they had, and how, in small ways, it shapes the men they are today. Friedman reels from a blow thrown by Valentine in the ring at Gleason’s Gym. “Do you ever think about going back to your old life?” Adam asked. “Every day, every day,” Alvin responded. Alvin Valentine had a sweeping and audacious criminal career — a career that spanned one third of his life. It started with a child’s bicycle. When he was maybe 12 or 13, Valentine committed his first crime. He was hanging out with some friends in East Harlem when he saw another group of youths. He liked one of their bicycles. He convinced his friends to rob them. He approached the biggest of the rival kids, beat him up and took the bike. It felt good and filled him with pride. He went on to a career of stick-ups, armed robberies, guns, knives, shivs, blood and Bloods, and gang orders. Adam Friedman, on the other hand, ran from fights. He had always been averse to physical conflict. One incident in his teen years sticks out. He was a student walking to his New Rochelle high school cafeteria to meet a girl he had a crush on. He was carrying a copy of a Shakespeare play when three classmates intercepted him. They snatched the book and begin tossing it around in a bully’s game of keep-away. Finally one of the students took the book and walked away. He brazenly stuck it in his back pocket, daring the young Friedman to come and take it. Adam never did. That moment shaped the man Friedman became. 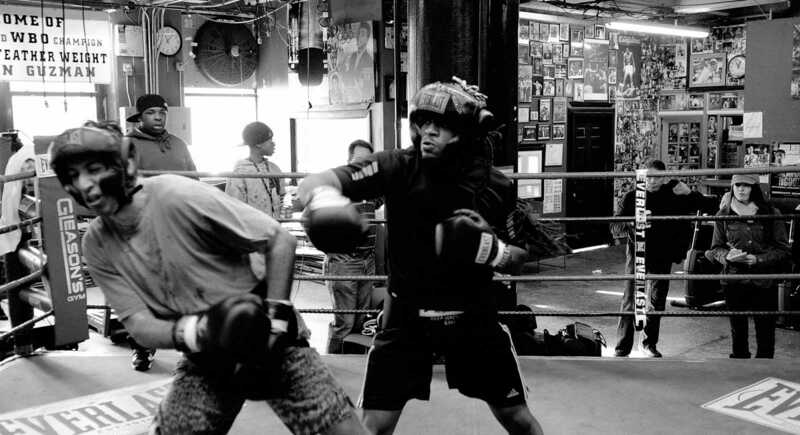 But on a chilly Saturday morning nearly six years ago, he visited Gleason’s Gym in Dumbo, a waterfront neighborhood in Brooklyn, to exorcise this demon. Months before, he had finally confronted his fear of blood by donating. But a fear of fighting topped the list. Friedman, as best he could describe it, was in the throes of a soul-gnawing midlife crisis. A recent father, Friedman said he did not want his children to grow up a coward the way he felt he did. 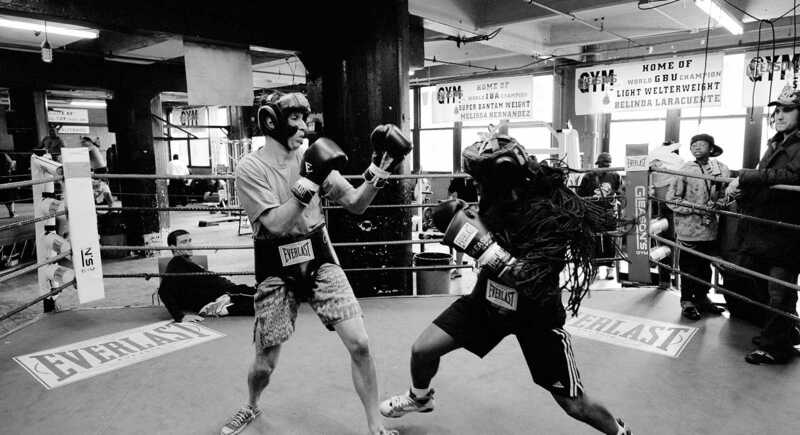 He thought he would find a cure for his tortured inner life in a boxing ring facing down a former gang leader who was also a decorated Golden Gloves fighter and boxing champion at Sing Sing. So Friedman made an odd request of his co-worker and friend. Friedman asked Valentine to beat him up. Friedman was a father of two and deputy director of a nonprofit that worked with formerly incarcerated people trying to integrate back into mainstream society. He ran from fights. Valentine, on the other hand, would start — and, often, finish — them. The two men came from two different worlds. One lived in a Trump Tower; the other in a tiny one-bedroom apartment in Brownsville, one of the most dangerous neighborhoods in the city. 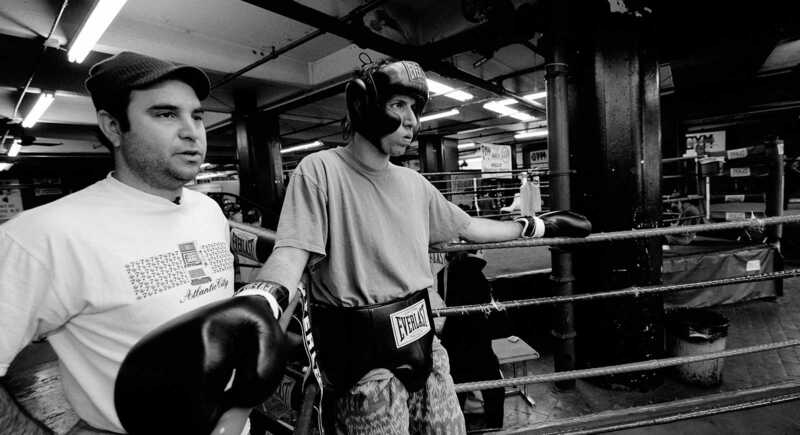 Because Valentine was a former boxer and hardened gang leader, he became the target of Friedman’s desire to get this fear of fighting out of his system. Friedman incessantly nagged Valentine about setting up a bout. Finally, he surrendered to superstition and tried to will the fight into existence. He mentally visualized it happening. Valentine finally relented to Friedman’s requests. In the days leading up to the showdown, Friedman could feel the fear that had dogged him his whole life reassert itself. As part of his training, he sparred with opponents much bigger and skilled than himself. He left one of those sessions with a bloody nose and shaken confidence. He worried that the “humongous” guy he fought only went at him at half-speed. What would happen, he thought with a shudder, when Alvin came at him unrestrained? He did not look forward to the real thing. Friedman remains on his feet after a left overhand to his head. Ahead of the fight, Valentine said he thought Friedman would leave a “humbler and wiser” man. When the day arrived, reality started to settle in. Moments before he steps into the boxing ring, that fear is obvious. He sits by himself, a stricken look on his face. His gaunt, pale legs stick out of a pair of old, ragged Jams shorts. His complexion has turned ashen. His breathing is shallow. His eyes dart nervously around the gym, staring at demons no one else sees. The gym is alive with activity: boxers sparring, wrestlers crunching their bodies on the mat with a thunderous boom, the unmistakable ram-meat sound of a fist slammed into a face — but Friedman doesn’t notice them. Meanwhile, on the other side of the gym, his opponent is smiling. Valentine’s toned muscles pop beneath his shirt. Their outline stands out in relief. He shadowboxes skillfully. His long dreadlocks are bound tightly in a bunch. He is loose and confident. When asked if he has any concerns about the fight with Friedman, his boss, he shakes his head with a devilish smile. Before Valentine was sent upstate to serve a third of his life in prison, he fought in the Golden Gloves and sparred with an Olympic boxer. As Friedman readies himself for the fight, someone points to a sign taped to a column. It reads: In Case of Boxer Emergency. He does not find it funny. The amateur contestants climb into the ring. Friedman’s demeanor changes. He is no longer in a ring. He is muttering to himself, working himself into a vengeful reverie. At that moment he is envisioning his young son on a playground at PS 199 Jessie Isador Straus school on 70th Street on the west side of Manhattan. He is playing out a scenario where Valentine is picking on his son and he is going over to stop it. Friedman and Valentine glare at one another as the referee reads the rules. Valentine’s fist crashes into Friedman’s face before the bell rings. “Does anybody know what recidivism means,” Valentine asks a roomful of dispirited, suspicious ex-cons. 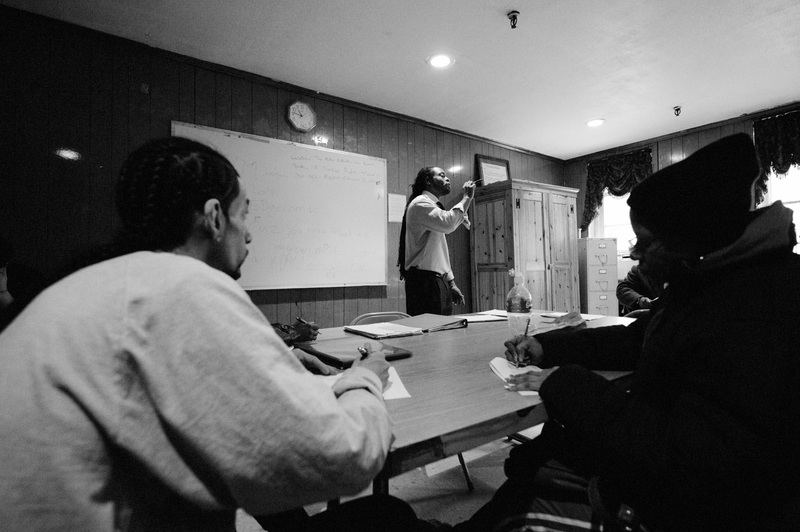 Alvin Valentine leads a workshop for newly released inmates in the basement of Exodus. He’s at Exodus Transitional Community. It’s the Monday morning after the fight. 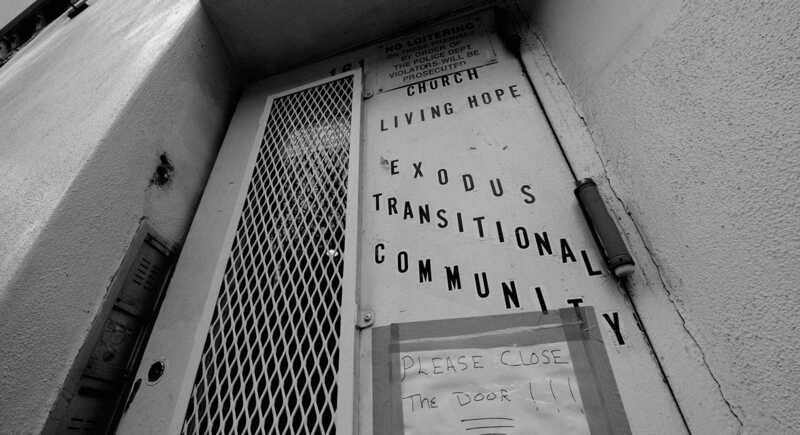 Exodus is housed in the Church of Living Hope, a white, crumbling four-story building on E. 104th St. The organization does what is known in the social service business as “re-entry.” It helps newly released prisoners ease back into mainstream society. In a dark second-floor room with a low ceiling, three dozen recently released prisoners sit in institutional folding chairs. A few perch on a windowsill. All of the faces are black or Latino. They are rapt as Valentine speaks. He is part preacher, part self-help guru, part hard-nosed CEO delivering a no-nonsense business presentation. He is a different man than the sculpted fighter itching to get in the ring. He wears a pair of dress pants that hang fashionably loose around a pair of brown dress shoes. A matching tie hangs from a collared shirt. After a pause, a member in the audience mutters a response to Valentine’s question, something about someone who can’t keep it together on the outside. The crowd, loosening up a bit, chuckles in recognition. “They talk about doing this and doing that,” he continues. “People filled with broken promises and dreams that never materialize. “Good intentions,” a young man barks. Valentine didn’t have the luxury to fear fights. Growing up in the city, every day was a fight. When he went to prison, he did what he had to do, he said. That included stabbing people who stepped out of line. At about the same age that Friedman was enduring the taunts of bullies, Valentine saw his first dead bodies. The corpses were new, scattered around a counting house for a drug dealer in Harlem. Valentine received a tip from a girlfriend whose mother counted cash for the dealer. He snuck up on the apartment and realized right away something was wrong. He crept into the house with his gun drawn and saw a pair of mannequin-like legs poking from the doorway. As he made his way into the room he was startled by the sight of a dead woman, her prosthetic leg leaning against a blood-spattered wall. She had been shot to death on the kitchen floor. “It was so quiet I could hear the hum of the refrigerator,” he remembered. He slipped out of the bloodbath, careful to wipe his prints off the door and anything else he touched. He was still a teenager. After sticking up a McDonald’s, he was arrested on drug and armed robbery charges. He spent time in various prisons in upstate New York. After his release, he started a new life, but one that is challenged every day. His old life constantly threatens to undo his new one. Shortly before his fight with Friedman, he was offered several thousand dollars a week to become an enforcer for a New Jersey drug dealer. He turned the offer down. But his small salary and the demands of impending fatherhood are always on his mind. He says he is riveted by a vision: It is of a burned ship. Now he has stranded himself in a mainstream world of jobs and schedules and responsibility and he has no choice but to make it work. After the workshop, he ascended the steps to the roof of the church and recounted how he had to take an intern up there after a disturbing incident. A client who had recently enrolled in the program had become hostile toward the intern and started intimidating him. The intern came from a wealthy household. The client had just been released from prison. Valentine explained to the intern how hard it is to grow up knowing you are never going to have that life. He explained the psychological toll it can take. There was a time when Valentine saw a police officer and he worried about getting locked up. After he started working at Exodus he said he looked at them with a sense of relief. Who is this white dude? Julio Medina, 46, started Exodus in the early 1990s from his mother’s kitchen table after serving years for being a self-described drug kingpin. He does the unglamorous but critical work of helping prisoners readjust to life outside prison. Without assistance, Medina said, many ex-convicts end up back in prison. Sharon White, who served 11 years for manslaughter, was a program manager. Friedman and Valentine almost didn’t get hired at Exodus. Friedman came in for his interview with a suit and tie, a sophisticated resume and a folder containing his work from a high-powered advertising firm. Medina reassured Friedman that he’d consider his application, but he had no intention of calling him back. Then he saw the “lanky white guy” interacting with a room full of ex-cons, slapping them five and engaging them in a easy, friendly conversation. Friedman focuses on his next move in the bout. Valentine came to Exodus as a client. His attitude was so disruptive his first day that he was thrown out. If not for White, who grabbed him and told him to cool off and come back the following week, Valentine isn’t sure what he would have done once he walked out that door. Valentine was a quick study, however. Eventually he became an employee working with clients. Friedman and Valentine’s relationship was contentious at first. Valentine bristled at what he saw as Friedman’s dismissive manner. Valentine had spent nearly a decade living in prison where respect was the common currency. Now his supervisor was not paying it. “Imagine Alvin comes here from prison where he called the shots and now he’s looking at this guy Adam telling him what to do in, let’s face it, a really annoying way,” Medina said. Valentine confronted Medina about it. “I went in there and was like, who is this white dude?” Valentine said. Their relationship had a lot of friction, but they ended up developing an unusually strong bond. It was their bond that was strengthened in the squared circle. Their fight went the distance. Both men were winded after going three rounds. Except for a knockdown from a jarring combination thrown by Valentine, Friedman acquitted himself respectably. Valentine was the unanimous victor, at least to the handful of pugilists who took a break from their workout to watch the odd match. Friedman dedicated the fight to his two sons and looked forward to the day when they could watch a tape of the fight and understand why he did it. Valentine used it to measure his stamina. He had aspirations of boxing regularly again and wanted to get into shape for a 12-round fight. Valentine and Friedman shake hands after the fight. Friedman was palpably relieved when he scooted under the ropes and took in what he had just accomplished. Friedman and Valentine shook hands and then hugged. As they gathered their belongings and prepared to go their separate ways the two men said their goodbyes. “I’ll see you Monday,” Friedman said. “See you Monday,” Valentine confirmed. The fight became legend around Exodus. 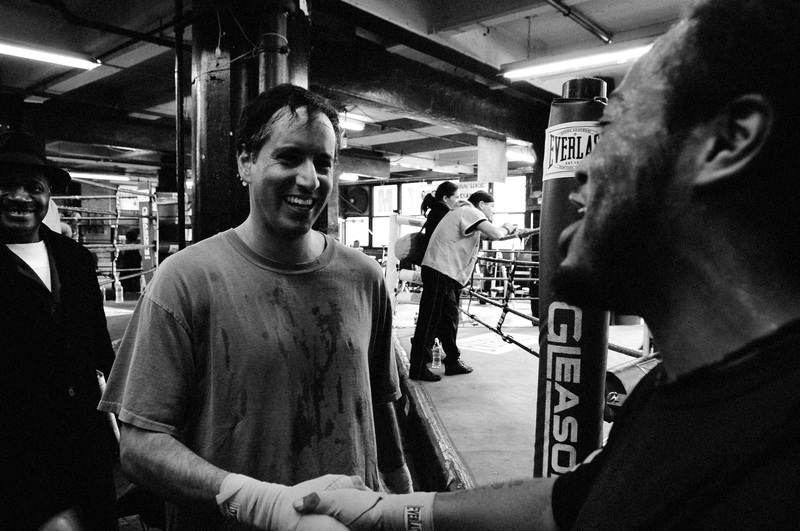 Friedman earned the respect of his colleagues for daring to step into the ring with Valentine. Valentine would show the footage of the fight to his friends. They would chastise Friedman for not attacking when Valentine stepped back and dropped his guard to showboat. A little while after the fight, Friedman was at work late at night doing an assessment of data on Exodus clients. He was tracking the number of people who were meeting with the job development counselor. He noticed that 40 percent of the clients were not going to their meetings, which, for a newly released inmate, is unacceptable. An essential part of integrating back into society is getting a job. Everyone wants an inmate to have a job — the parole officer, the re-entry counselors and the inmate himself. But, Friedman said, many former inmates who might be tough when faced with physical confrontation are daunted by the prospect of sitting down for a job interview. The clients would fumble for excuses to avoid meeting with the counselor. Friedman was troubled by the discovery. And then he had a revelation. On Mondays at Exodus, Valentine always led the first meeting for new clients, telling them his life story, using his experience to earn their trust and to encourage them to avail themselves of the programs at Exodus. After Valentine gave his presentation, it was Friedman’s turn. He led a workshop on the nuts-and-bolts of the program. This time — before he launched into his spiel — he played the tape of the fight. The following week the head of job development sent out an email to the staff. It informed them that, for the first time, not one client missed their appointment for the week. Steven Llanos calls Adam and Alvin the “odd couple” with a resonant laugh that speaks to the absurdity of the pairing. Despite their differences, Llanos credits both men, in their own idiosyncratic ways, for saving his life. Llanos was in the life as far back as he could remember, selling crack when he was 9 years old. He managed to slip through the cracks of the system whenever he got in trouble. His mother, a drug addict, always bailed him out because she knew she would be able to get drugs from her son as compensation for putting her out. Llanos was on his way to get fronted some crack so he could get back into the drug dealing game when a wrong turn in East Harlem landed him in front of the white church that housed Exodus. A group of men were outside on a smoke break, and he overheard them talking about prison. Llanos had recently been released after finishing a sentence for drug dealing. One of the group invited him up for some lunch and a coffee. It was Valentine. 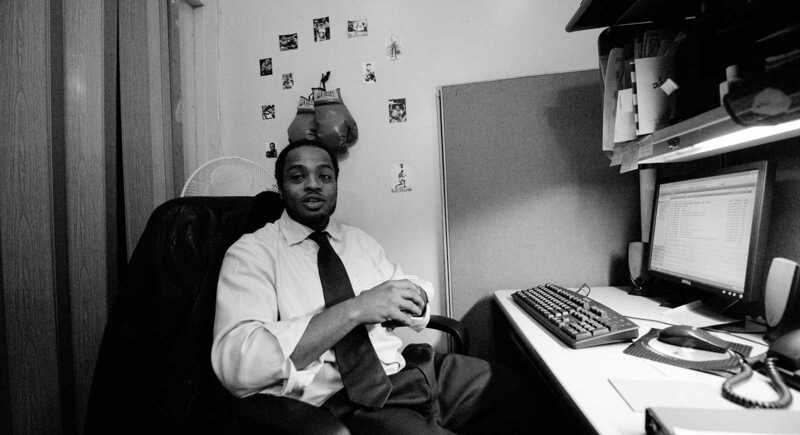 Friedman inside the offices of Exodus where the two fighters worked at the time of the bout. Llanos stayed on, first as a client, then as a counselor and then was moved up to project manager. About a year after the fight, Medina fired Valentine. They had different ideas about what direction to take the organization. Friedman later left to take a job at the Jersey City Employment and Training Commission, recruited by former New Jersey Gov. Jim McGreevey. Before he left Exodus, Friedman said, Valentine started becoming “feral.” When he left and word reached him that Valentine had returned to the life he had sworn to leave behind, it didn’t come as a complete surprise. It didn’t come as surprise to Llanos, either. Llanos said the longer a former prisoner is free, the easier it is for him to take that freedom for granted. Llanos heard Valentine had been shot in the summer of 2010, He was relieved to hear that he survived. And he was not surprised that Valentine turned his life around once again in the wake of the shooting. According to his old friends, Valentine is out of the life again and working as a doorman and building manager in Long Island City, a gentrified waterfront neighborhood in Queens. Valentine’s example had given Llanos the confidence to keep his head down and throw himself into the work. He eventually looked up to Friedman as a father figure, a source of inspiration as he negotiated the pitfalls of fatherhood. But that was not always the case. Llanos said initially he was weary of Friedman. “It was that old prison mentality,” he said. As a child and teen, Llanos only saw white people as members of a system that ground him, and people like him, down. When his friends got beaten by the cops, he said, the officers were always white. When he got placed in foster care, the people that wrenched him from his family, they were white. When he was in prison, it was always a white corrections officer that was meting out discipline. “People from the hood, we don’t do yoga,” Llanos said. In prison, Llanos said, you develop a “sixth sense.” When something is about to go down in the yard or in the mess hall, that sixth sense starts humming. One afternoon at a workshop he was leading at Exodus, Llanos said his sixth sense was in overdrive. Two clients in the room had a turbulent history in prison. One of the men had ordered a stabbing of the other client’s friend. The old score was about to be settled in the church basement. The other man stood, ready to fight. Llanos pleaded for them, out of respect, to give him a minute, one minute. “I grabbed the tape, and threw it in there,” Llanos said. The two rivals watched the tape of the fight, and Friedman’s and Valentine’s preparation, and their camaraderie after it was over. He said watching the fight lifted the tension in the room. A week later when the two men met for staff lunch and held a service, they were side by side, part of a circle holding hands. 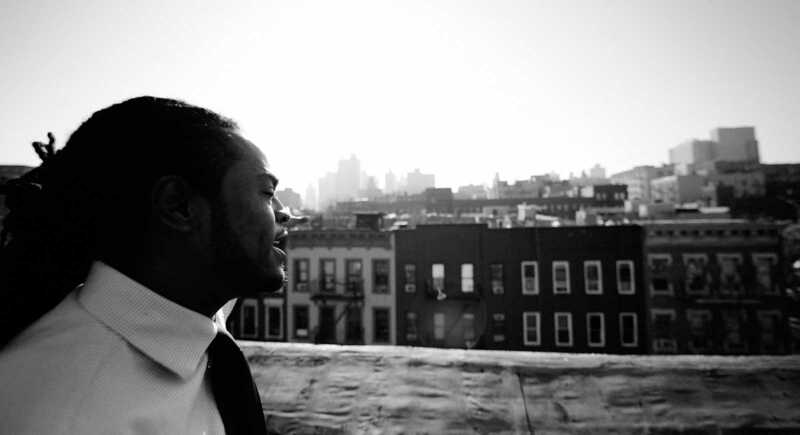 Alvin Valentine on the roof of Exodus, a place he goes to be inspired. The entrance to Exodus inside the Church of Living Hope in East Harlem. 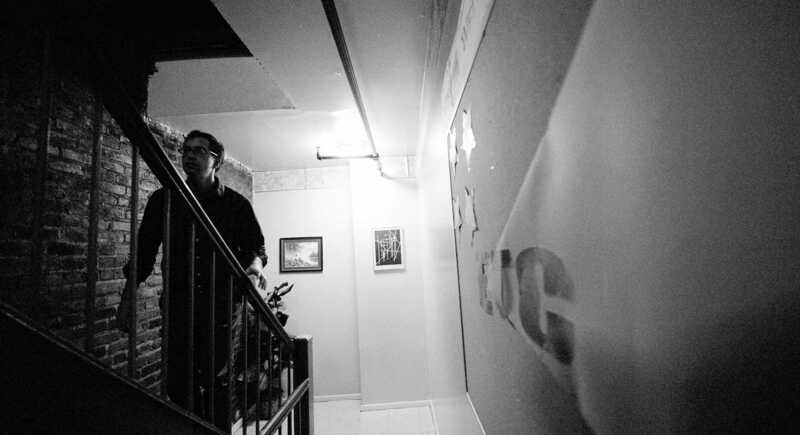 Friedman climbs the stairs inside the offices of Exodus, where the two fighters worked at the time of the bout. Alvin Valentine pauses at his desk inside the offices at Exodus. 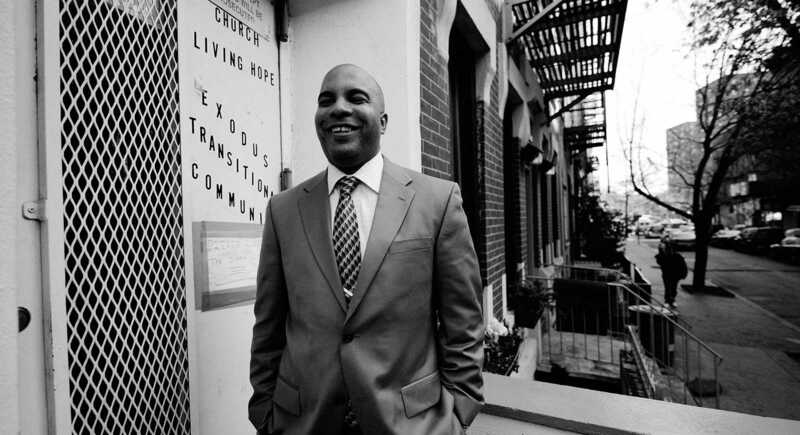 Julio Medina outside the headquarters of Exodus Transitional Community fin Harlem. Crowds gather to watch the spectacle of two men from different worlds squaring off. 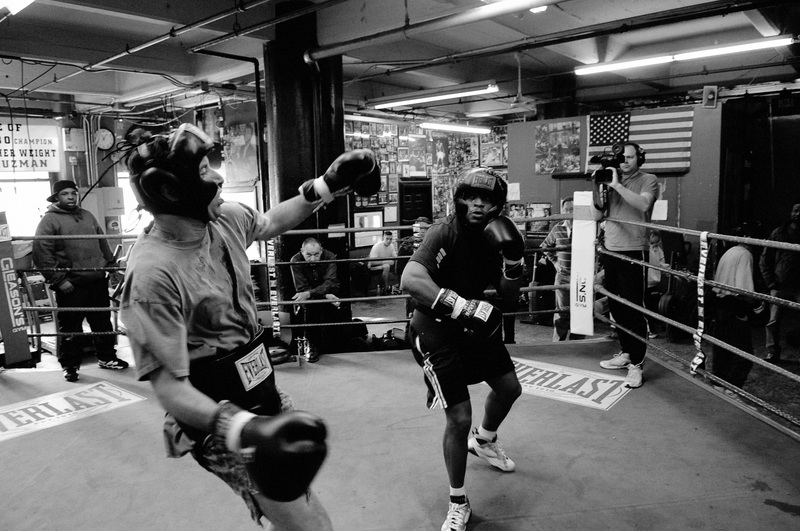 The two men clash in the ring at Gleason’s Gym. Vin DeCrescenzo helps coach in Friedman’s corner. A devastating blow nearly lands Friedman on the mat. Friedman gestures a mock blow on Valentine’s chin after the bout. 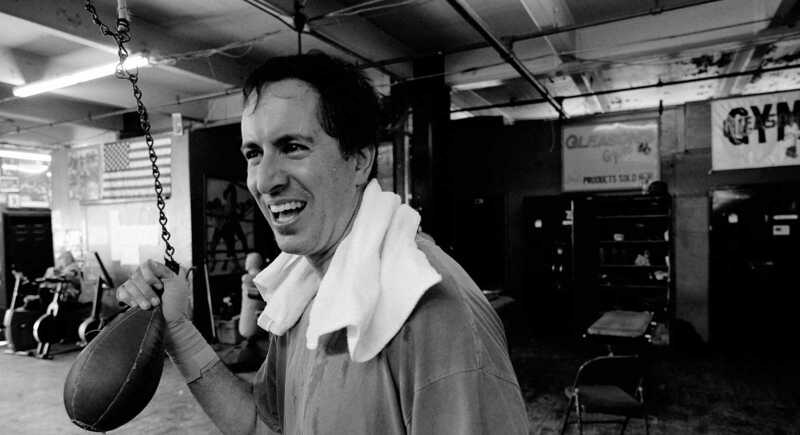 A relieved Friedman hangs from a bag after surviving a bout with Valentine.